Tata Motors has started booking Herrias SUVs and it will be launched in January 2019. Price to launch, Tata Motors has tested this SUV in different driving conditions of the country. Tata Motors, the country's largest automaker, has made full preparations to launch its superb SUV Tata Harrier in the Indian market. The company will introduce its new SUV in the Indian market in the first quarter of 2019. Tata Motors has started production of Tata Harrier in its plant located in Pune. Last day Harrier's first unit was prepared and pulled out of the plant. The booking of this SUV, which is equipped with a very attractive look and strong engine capacity, has also begun. 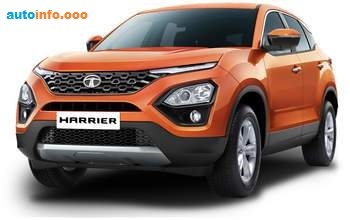 If you want to book the Tata Harrier, then you have to deposit Rs 30,000 as a token money. As soon as this new SUV comes out of the plant, the new 2.0 Looks design also raises the curtain completely. Although the test version Tata Harrier was being seen on the roads for a long time, the production version has come to the world for the first time. In the new Tata Harrier, the company has made excellent use of spectacular LED DRL, trowel arrow pattern bomber, attractive headlight, fog lamps, black cladding and skid plates. Which provide a very spectacular and sporty look to this SUV. In its design the company has used 2.0 Phillipsi. These SUVs will be offered in the Indian market with 5 seater options. If this is the side profile of this SUV, then the company has used flared wheel arch, chrome garnish on window line, black cladding and sloping roof line on the entire body of SUV. Apart from this, the company has used Slick LED Tail Light Cluster, Black Strip, Roof Mounted Spoiler, Sharq Fin Antenna and Skid Plate in the previous part of the Tata Harrier. Along with Tata Harrier's exterior, the company is making its interior very special and premium. With luxurious sophisticated features, luxury seats with attractive touchscreen information system and leather upholstery have been used.This new SUV has been developed by the company on the platform of OMEGARC (Optimal Modular Efficient Global Advanced Architecture). This new OMEGARC platform is built by Tata Motors and Jaguar Land Rover. In this Jaguar Land Rover's D8 architecture technology has been used. It has also been mentioned in this video that about 10 lakh vehicles have been built on this D8 architecture platform. 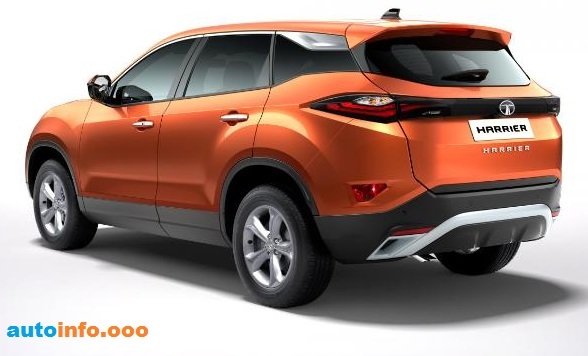 In Tata Harrier, the company has used a strong 2 liter capacity engine which provides strong power of SUV 140 bhp and 320 nm of excellent power. Apart from this, 6 speed manual transmission gearboxes have been used. It is expected that the company can also offer this SUV with automatic gearbox. Since it is a premium SUV, then it is also imperative to have an automated transmission gearbox. Let us tell you, Tata Herher was in a testing mode for a long time and the company has presented its new production version only after thoroughly testing its car. This SUV has been checked in all kinds of circumstances and situations so that the accuracy of the durability of Tata Harrier can be assessed and presented to the customer. Recently, Tata Motors test drive this SUV to 2.2 million kilometers. The company also released a video for this test ride. At present, the company will present Tata Harrier with a 5-seater option but later its 7-seater variant will also be launched. Tata Motors is working on this new SUV for a long time and finally its production version has been introduced. This SUV has given a very special design and look to the company. Apart from this, the best engine, technology and features have been used in it. Which separates itself from other SUVs present in the market. 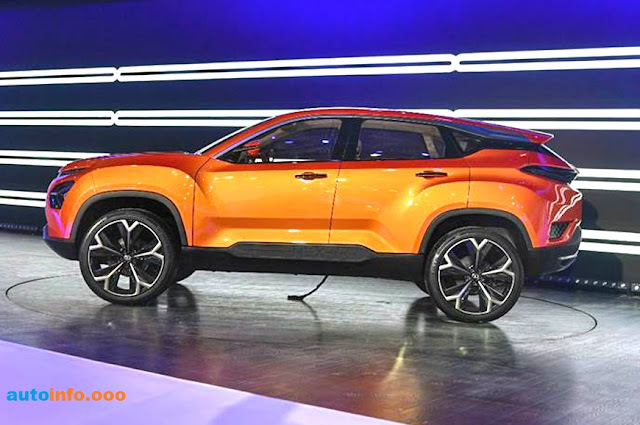 The company will present its SUV in the market within the next 3 to 4 months, although it is difficult to get accurate estimation of pre-launch price, but the experts believe that the company will be able to sell the SUV between 13 to 18 lakh rupees Can present in the Indian market. Experts believe that the new Harrier will work as a game-changer for Tata Motors. In the domestic market, the SUV will give a tough fight to the Mahindra XUV, Hyundai Crata etc. Tata Harrier is very special in many ways and the way the company is sensitive to this SUV, there is no consensus in the fact that these SUVs will perform well in the Indian market.